Materials: Oak/maple or smoked oak/oak. 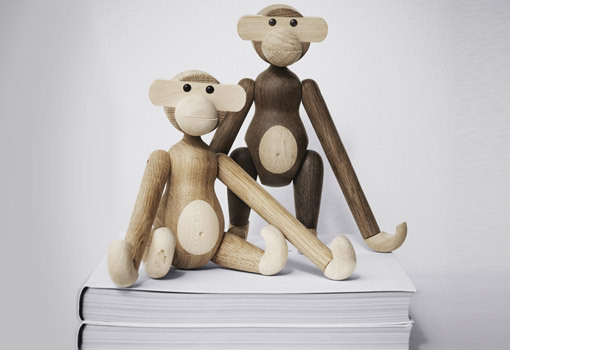 Kay Bojesen’s 1951 Monkey took shape in Kay Bojesen’s head as a coat hook, but ended up becoming a world-famous little wooden monkey. This version is made of smoked oak and natural oak, and will look great in the living room or a child’s bedroom. We also stock the traditional teak/limba version.